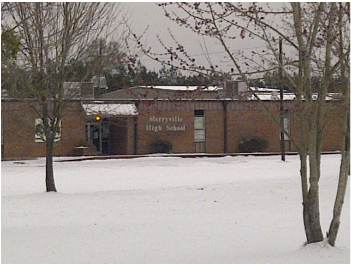 The Merryville High School Alumni Association is in the process of creating a new website with more information, pictures and history. Please be patient with our process and feel free to contact us with any errors, pictures or information you might like to add. And please spread the word to all of our alumni and graduates of Merryville High School. In the mid 1800's the first known school in Merryville had it's beginnings in a "one-room rough building located near the edge of the Sabine Swamp," (History of Beauregard Parish, 144). In 1906 the Imperial Calcasieu Parish School Board created District #16 to allow the people of Merryville to collect taxes to build a school. 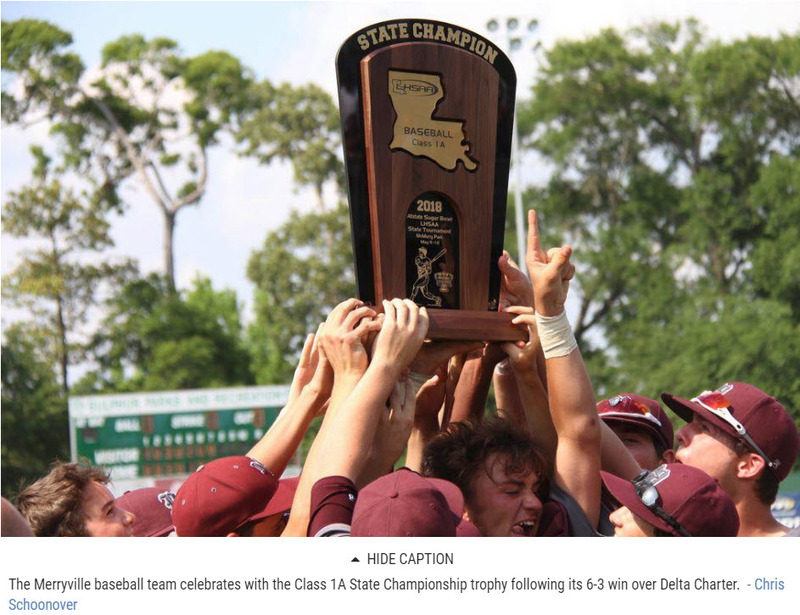 Superintendent John McNeese was successful in getting the school designated as an agricultural school - the first in the parish and one of the first in the state. The two-story wooden building was completed in 1907 for the school session. There were 400 pupils, five teachers, and Lloyd L. Squires as principal. Enrollment continued to grow because of the saw mills and consolidation. Plans for a new facility were begun in 1914. 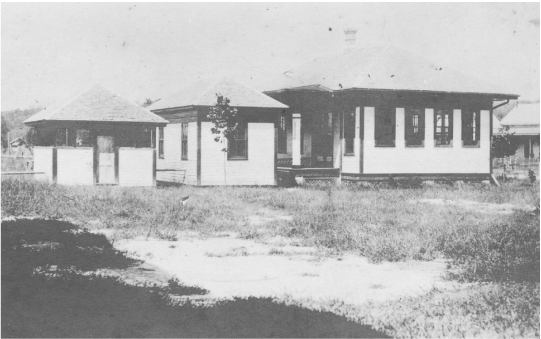 The new building burned to the ground in January of 1918 and a new brick facility was constructed in 1919 housing 1st - 11th grades. Agricultural classes were held in the barn and a separate facility was built for home economics classes. This is the site of the Merryville High School today, although new buildings and auditoriums have taken the place of the originals. 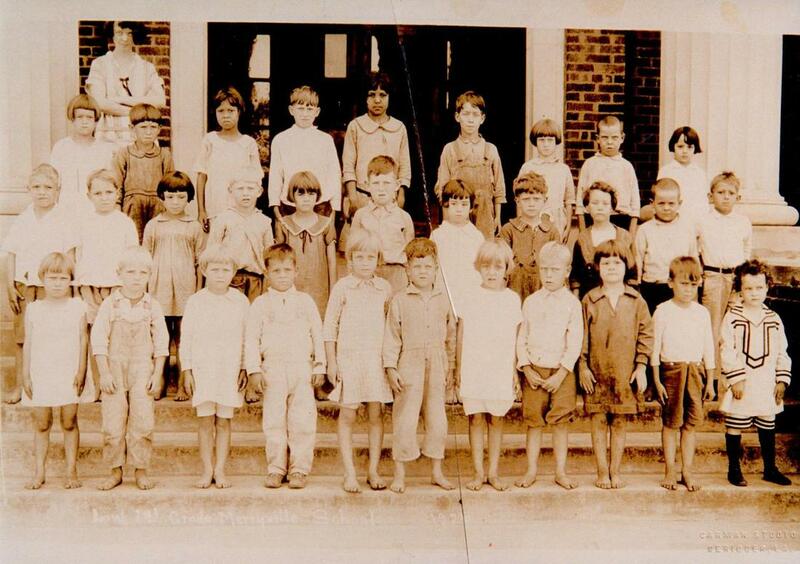 In 1954, the school asked the southern Association of Elementary and Secondary Education to evaluate its program. It was declared an accredited school by the association and has been evaluated and re-accredited every ten years since then. Purchase from any alumni board member or by clicking on the Pay Pal logo below. The new marquee will be 140" full color LED electronic message display capable of displaying still frame and video images with the name of the school and 3 lines of text. The new marquee is quoted at $26, 950 delivered and installed.